Chef Ioos started his career at the five-star Sheraton Skyline London Heathrow Hotel. After four years refining his skills and progressing up the kitchen brigade, Chef Reginald moved to Brussels where he worked at the two Michelin-starred Sea Grill Restaurant, and then onto the five-star Sheraton Hotel at Brussels Airport. 2005 saw Chef Reginald returned to France where he continued to excel at leading hotels in Paris, before turning to education to share his expertise as Head Chef Lecturer in 2008. A spell as Private Chef to a former member of the French government followed, which saw Chef Ioos cook for a number of French ministers. Chef Reginald joined Le Cordon Bleu’s team of teaching cuisine chefs in 2013. I must have been 12 or 13 and I loved being in the kitchen with my dad stirring the pots. My father cooked a lot so we used fresh ingredients from the garden. My role at Le Cordon Bleu however came very naturally, as training was a massive part of my role as a chef and I had come from a practical background. What are you most passionate about in the food world? The world of food, it’s a whole world! It’s endless and you will always be discovering – what’s not to love? 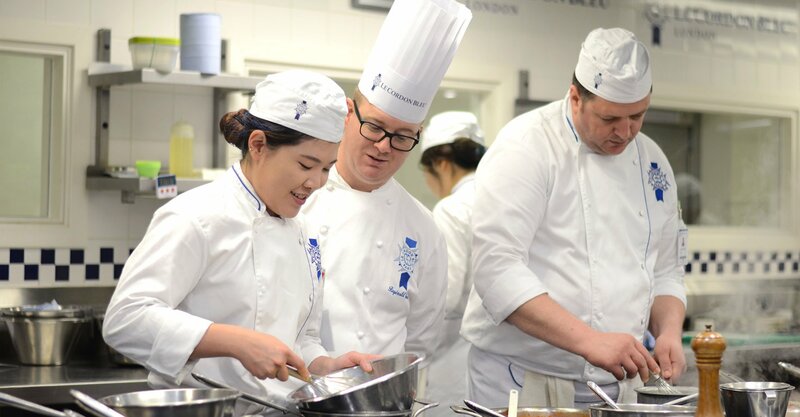 Why is Le Cordon Bleu so unique to you? It is the quality of teaching for me and the standard that we set, implement and pass on. What is also great is that all the teaching chefs have passion in common. it’s tough and demanding, but the experience is great! Three words that fulfil what you need to succeed in the culinary world? Enthusiasm, passion and willing to learn with an open mind. Sitting in the garden amongst the vegetable patches picking fruits and vegetables, especially eating strawberries and cherries around the age of four. Fish, any type of fish. It’s delicate and most people will like it when it’s been correctly prepared. The best thing about it is that it can be accommodated in many ways. What is it like to work in a two Michelin-starred restaurant? It’s tough and demanding, but the experience is great! It’s like being on another planet. Everything you make has to be spot on, there is no room for a mistake; the precision on the plate is unbelievable! I used to find it stressful, but I have definitely mellowed with age. The apple peeling-slicing machine is probably my number one favourite. My spice grinder, I use it for all sorts. If you only had £10 to spend on food where would you go and what would you buy? A good piece of bread and butter is the perfect meal! As long as it’s really good, fresh crusty bread and I would even have change!